This article talks about the importance of supporting the Primary Years Programe (PYP) students in taking global action from a very young age through learning processes: play-based learning and creative inquiry. Early years students went on a journey of inquiry as a part of their visual arts project in “sharing the planet”, based on the use of natural and recycled materials found in nearby environment. They contrasted consumerism versus the use of recycled materials through playful and creative creation of a 3D mural. Shaping the future begins early in the development of IB learners world-wide. What we as IB educators instill in our youngest learners in their early years of playful education will grow into a global, meaningful action in the future. Our early years students will one day be independent adults responsible for taking decisions perhaps as politicians, educators and leaders of the unforeseen world to come. Perhaps they will hold positions which are now hard to imagine might exist. We will then look back and ask ourselves a question: Have we, as IB World Schools, enabled them to take the lead on matters that we could not predict would occur? The answer is not the kind that will be indicated by ticked boxes or written or verbal exams nor indicated in research results based on surveys. The answer is rooted in the learning process itself, the experience which we provide and nourish, the critical, independent thinking which we encourage and provoke, the open ended authentic problems, the kind of inquiry that sparks natural curiosity in which our students learn. Play-based inquiry truly is the highest form of research. This is what early years educators at the International School of Ticino truly believe in. Our early years students engaged in the creative process of celebrating the IB 50th birthday by inquiring into processes of making art out of things that can be found all around us. Whether these objects can be found on the ground in the forest or around the house, they can become pieces which spark our imagination and go against consumerism. Following the campaign #GenerationIB, our young artists created a 3D landscape called “Nature is art”. Our students inquired into ways in which artists express their ideas and feelings about sharing the planet. 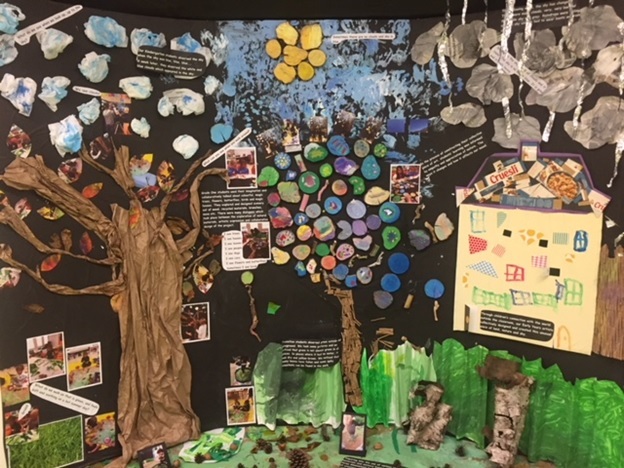 In the process of constructing their collective piece of visual arts, students’ learning was filled with empathy and appreciation of nature, as well as thorough observation of environment around us, how it changes and how these changes affect our mood. Our young learners went on a journey in which they engaged in creative dialogues with the environment around them, with each other and with natural and recycled materials. We are proud that through this playful, creative and authentic inquiry process our youngest learners have begun the process of growing their unknown future. 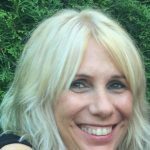 Katarzyna Krohn is an Assistant Principal, PYP Coordinator and Visual Arts teacher at the International School of Ticino in Switzerland. She worked as an educator and leader in schools in the Middle-East as well as in international schools across Europe. Her passions are deeply rooted the holistic development of a child. Additionally to her roles as an IB educator, Katarzyna is a Play & Creative Arts Therapist. She believes that in order to educate caring, independent and globally aware future adults, learning must begin very early in life. She strongly advocates for the importance of play as child’s language of communication.